After the better part of a decade filled with research and development, the future of cue sports has arrived. Welcome to the revolution – introducing the Predator REVO carbon fiber composite shaft. Developed and manufactured at our research and development facility just outside of Boston, Massachusetts, Predator REVO shafts stand at the apex of accuracy and performance. The ultimate in billiards technology and performance. Comprised carbon fiber composite, REVO shafts incorporate more than twenty years of technological evolution and testing. The stiffest of all Predator shafts, REVO shafts feature the lightest front end mass, the lowest rate of rise taper, greatest radial consistency, and most durable construction. The result? The most accurate shaft in the world at low and high speeds, with the smoothest finish, most spin, and uncompromising durability. More of everything players demand – more accuracy, more spin, more consistency, and more longevity, the Predator REVO shaft sets a new standard for performance. Featuring a carbon fiber composite build and ferrule-less construction, the REVO shaft has the lowest front-end mass and highest stiffness rating we’ve ever achieved. The results? Pin-point accuracy with lower deflection at both high and low speeds, ultra-efficient energy transfer, and effortless spin allowing for improved control of the cue ball, and ultimately the table. The REVO shaft’s accolades don’t stop with on-table performance either. It will never warp, and the shaft’s ultra-smooth finish is highly resistant to dings, dirt, and the wear and tear that a shaft sees during its lifetime. 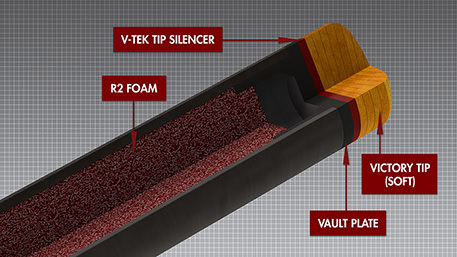 The patent pending Vault Plate completely re-configures the stress points between the Victory Tip, V-TEK Tip Silencer, R2 molecular multi-density foam, and carbon fiber composite tube to create a construction that is stronger from every axis with less mass and a higher level of kinetic energy transfer. The R2 molecular multi-density foam fills the shaft with multiple densities at specific locations to increase or decrease stiffness and transfer consistent feedback to the player’s hand. Woven fibers have long been the expected standard of carbon fiber construction, but they are not necessarily the best for every application. We have long recognized both the strength and the function of carbon fiber weave, however, recent advances in fiber technology and construction techniques have led Predator to take a different design approach. Previously, a woven fabric was the norm for the outermost covering of any carbon component. 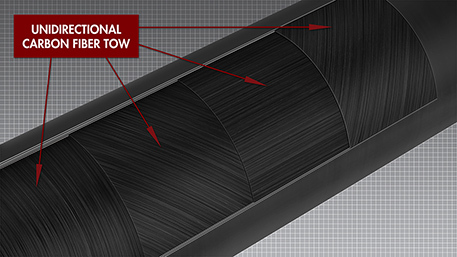 Now, new aerospace grade carbon fiber tow construction methods and new fiber placement theories allow us to tune the shaft by orienting the carbon fiber tow in the directions most suitable for a particular location in the shaft itself. The low-rise taper is the result of the shaft’s unique construction and strength. This build allows for an extremely straight taper that only increases five percent over the first fourteen inches of the shaft. The extremely smooth and maintainable REVO shaft surface is created by our specially developed carbon fiber polishing process. This process involves measuring the shaft’s surface. Using a diamond stylus profilometer we measure every shaft and maintain a strict tolerance we call “Predator’s surface finish motif” which keeps the shaft from being either under polished (creating a less than desirable rough finish) or over polished (creating a glossy or sticky surface often exhibited on low-quality fiberglass composite shafts). Eight layers of pure performance, each tip is constructed to the most exacting standards and was developed to maintain optimum compression for the entire life of the tip. 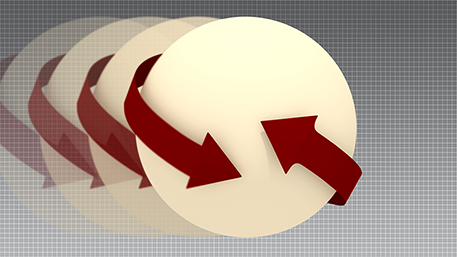 Its high-contrast color allows for improved sighting and shaping. Predator REVO shafts deliver even more increased rotation and accuracy than their spliced siblings. Through their unparalleled combination of strength, stiffness, and low-mass, REVO carbon composite shafts allow players to play more spin at any velocity, with not only less effort, but with the most consistent hit in the world. 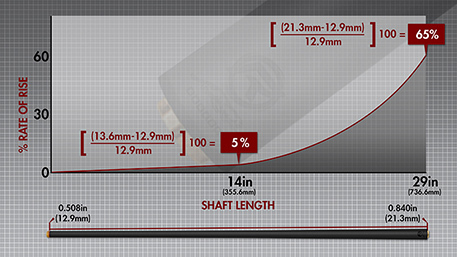 Click here to see our shaft comparison and to find the right Predator shaft for your game. 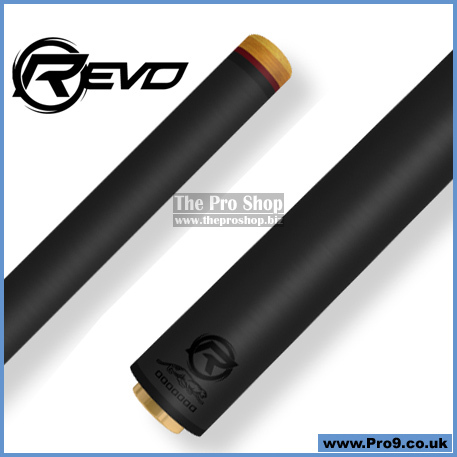 Predator Revo Shaft Order Status - Most Revo shaft types are now available, and the much awaited 12.4mm UniLoc version will be arriving soon, so order now to get on the top of the list for the next available batch of Revo 12.4mm UniLoc Shafts. Sold on a first-come, first-served basis - pre-order a 12.4mm REVO shaft now, in the knowledge that you are at the top of the list for the first batch that arrives.